The Deep Ecology KM Group recently met for a wonderfully mindful evening. Samara introduced various artists who work in deep connection with the earth (such as Andy Goldsworthy) and then led group members through their own artistic exploration of the surroundings. The group’s next meeting will be Wednesday, June 6, at 6:45 pm, at Concordia Park (across from Kaldi’s on DeMun). Newcomers welcome! The focus will be on sensory awareness. The group will meet again on June 27 (mindful eating) and June 11 (art/nature). For more information, contact Johannes. 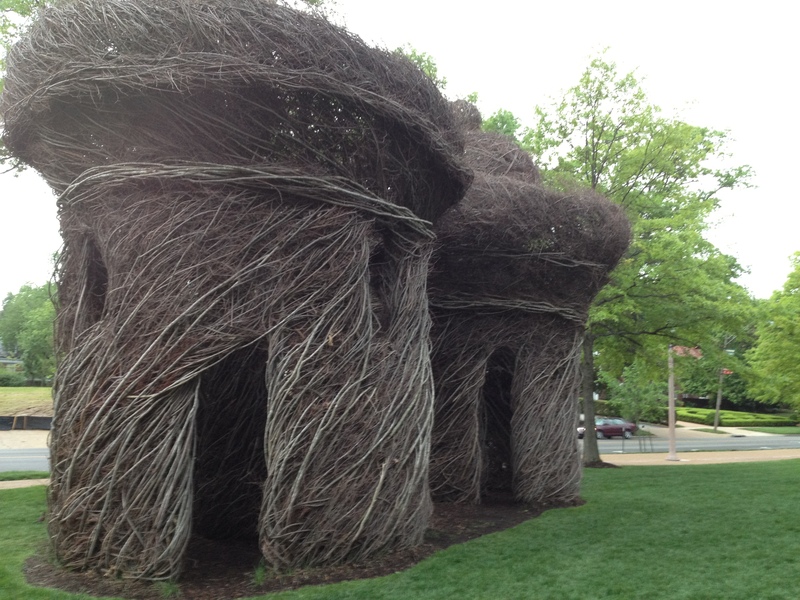 our Deep Ecology group is considering having our July 11 meeting at the Wash U.
art installation that is in this picture.Thanks for the inspiration. We’ll keep you updated. That would be so cool!!! !